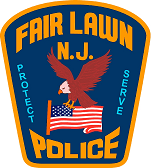 6th Annual PO Mary Ann Collura Scholarship Fundraiser is April 13, 2019 from 5pm - 11pm at the Fair Lawn Athletic Club. DJs, 50/50, Giveaways, Raffles, etc. 2nd Annual PO Mary Ann Collura Scholarship Foundation Free Car Show & Family Day is April 28, 2019 at Memorial Pool. Flyer available here. Don't be an easy victim! Lock your car doors & don't leave the key fob in your car when parking! No Government agency will ever call you asking for gift cards as payment - i.e. the IRS, or Police Departments looking for bail money, etc!